Obviously 1996 Indy 500 winner Buddy Lazier's story about his 2014 sponsor, whose 'Deckle's (decals) adorning his Dallara DW12-Chevrolet's sidepods for the University of Iowa's Stephen A. Wynn Institute for Vision Research strike a very personal connection to myself, of which even more ironic is that billionaire Stephen A. Wynn struggles from the very same eye affliction as Mwah! thus naturally, I'll be rootin' for the No. 91 Lazier Partners entry this May, as who'd a thunk I-T! 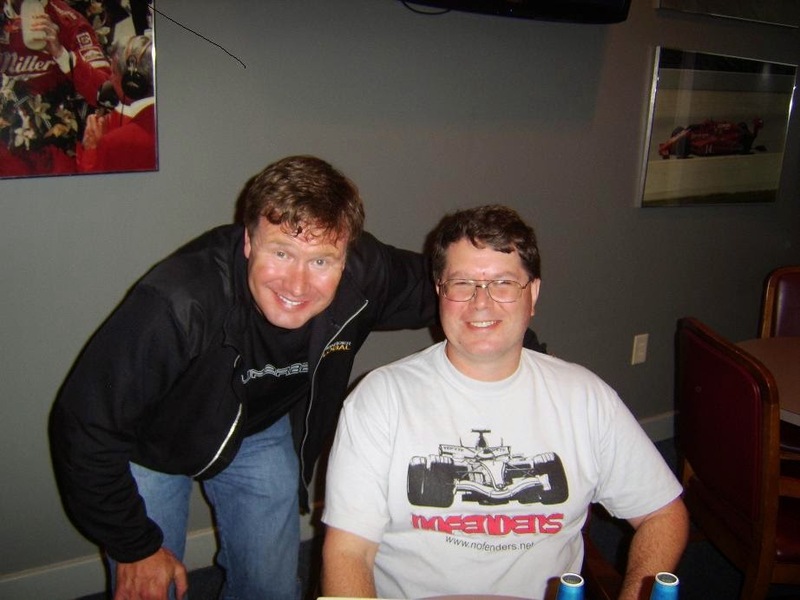 That Buddy Lazier would be the old man at Mother Speedway this May? Kudos to No Fenders 'Offical Photographer 'CARPETS for Hookin' me up with Buddy & asking for picture + autograph. And thanxs to Buddy for being so accommodating!